This rust bucket appears to have crashed into a tree about 70 years ago. The front of the truck is peeled away from the base but is still attached through strip of fender. Then the forest grew around it. 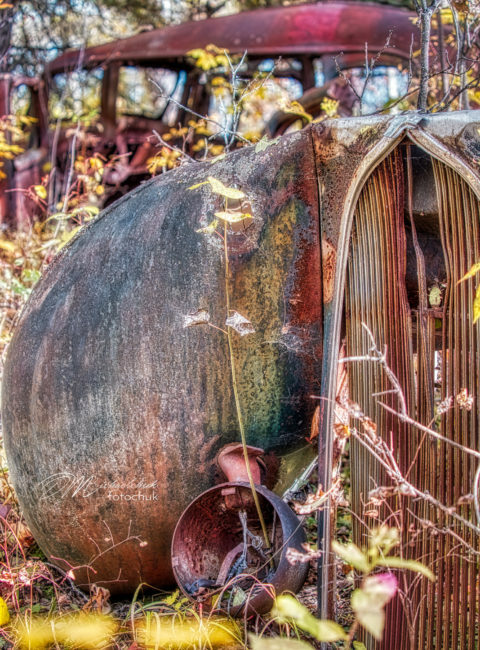 This rust bucket appears to have crashed into a tree about 70 years ago. the front of the truck is peeled away from the base but is stil attached through strip of fendor. Reclaimed by nature after all these years. Well captured!